Book Artist, PD Packard, participates in InLiquid art + design's signature summer event, Art For The Cash Poor. Held at the Crane Arts Building in Philadelphia, from Friday, June 13 to Sunday, June 15, 2014. PD Packard's vibrant life-like paintings and prints cover handmade boxes designed for this year's AFTCP event. Packard effectively renews her artwork by using pre-existing paintings and prints from her archives to complete her boxes and handbound books. Rain or shine, you can find book artist, PD Packard, at this year’s fabulous annual block party-style event, Art For The Cash Poor (AFTCP). 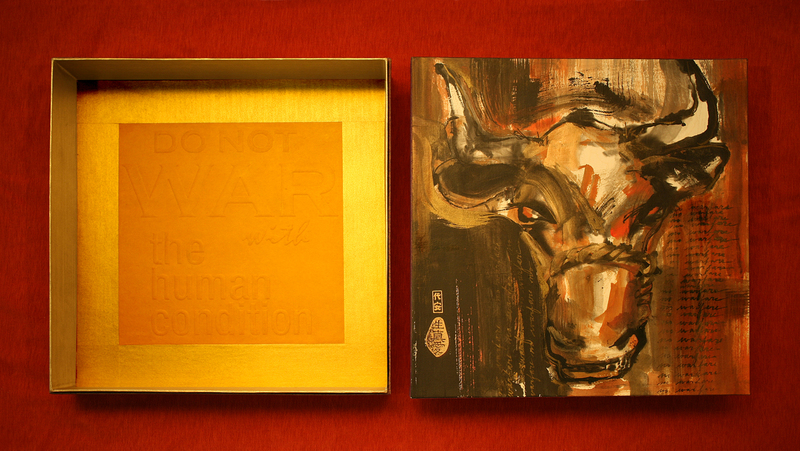 Packard will be presenting handbound artist books, covered boxes and small prints. Created specifically for the event, Packard’s pieces at the AFTCP are one-of-a-kind, and have a price cap of $199 and below. Held at the Crane Arts Building in Philadelphia, AFTCP runs from Friday, June 13 through Sunday, June 15, 2014. Packard effectively renewed her artwork for the event by using existing vibrant, life-like paintings and prints from previous projects to cover her handbound books and boxes. None of the boxes are prefabricated; all the structures are handmade by Packard. Using the Japanese decorative paper methods of Itajime Shibori and Suminagashi, Packard hand dyed kozo and gampi papers to cover the books and boxes. She then selected pre-existing watercolors or prints from her archives, artworks that are not castoffs but haven’t any specific uses, to complete the final pieces. Saturday, June 14 + Sunday, June 15, 2014, 12 p.m. – 6 p.m.
Additional ticketed preview on Friday, June 13, 5:30 – 9 p.m.
All work at the event has a price cap of $199 and below. 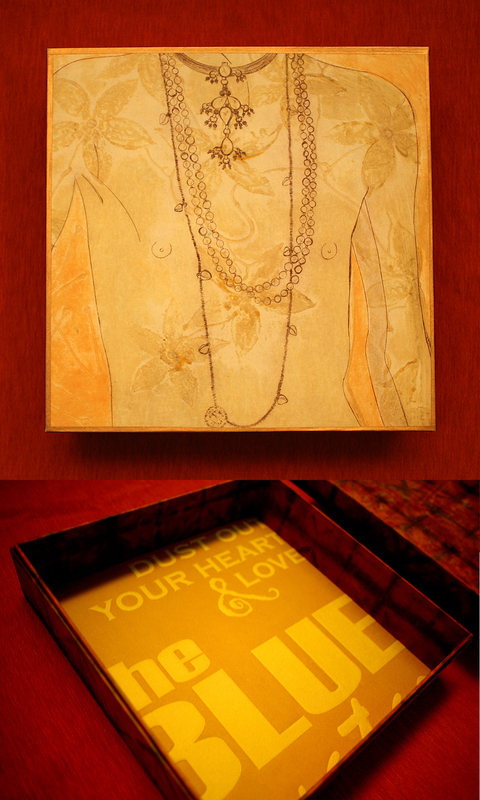 Packard's drypoint etching and text print used to cover a handmade 12 inch square box. Packard's watercolor painting of a Longhorn bull used to cover a handmade 20 inch square box. 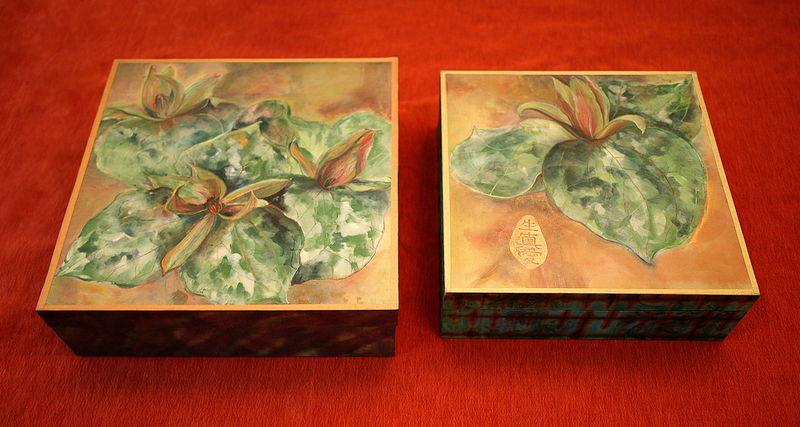 Trillium watercolors cover handmade boxes designed for this years AFTCP event. 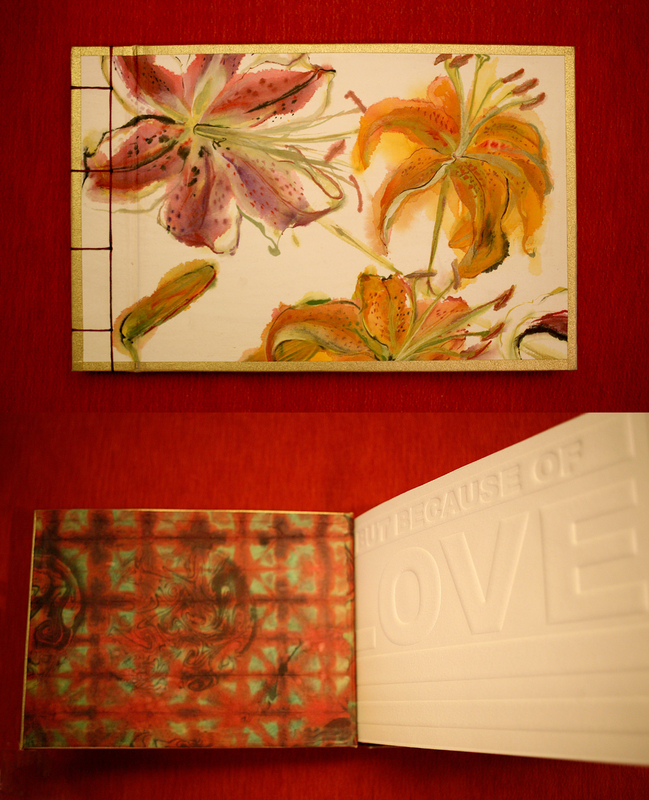 Packard's handbound blank-page book with watercolor lilies and decoractive papers.